From a training perspective, there is no doubt that working for a software house has its advantages. For example, no-one will ever know our Compucare software better than our in-house development team. But how do you pass on those subtle changes and software updates to the rest of the business? Or instill that knowledge to new starters fresh out the box? Without proper training, even the most experienced employees are left to discover the latest processes on their own. Which in turn can cost the company time and money. Yet despite its importance, most team members throughout the industry are trained ‘on-the-job’ by their peers, which can cause frustration and stress among employees that are new to the environment. 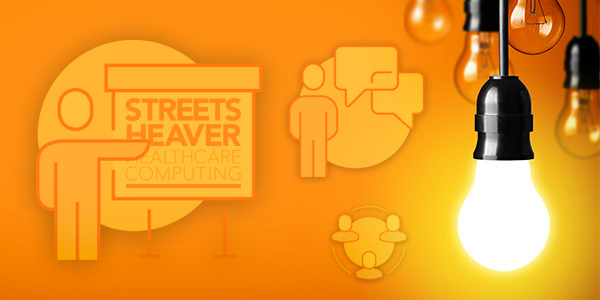 We recognised the effect this could cause at Streets Heaver, so introduced a regular internal training programme that would deliver best practice throughout our suite of healthcare software. Providing team members with the opportunity to practice Compucare first-hand, within a dedicated learning environment. This then became a fundamental component of our onboarding process for new starters. Once the training programme found its feet, productivity increased within the departments and we found that managers’ time was released. Bizarrely, having well-trained staff, with everyone pulling together with the same expectations, paid off… And from a recruitment perspective, it opened us up to hiring candidates at all levels – even to the point of taking on apprentices. If you invest in training and you know what works, you can teach the habits you know are successful to the company’s greatest asset; it’s people. We couldn’t imagine not having an internal training programme now. So thought we would share what we learnt along the way. Obtain Executive Buy-In – If your leadership team doesn’t believe in the value of maintaining a training program, then it will ultimately fail at the first hurdle. Appoint Ownership – Someone needs to be the owner of the training program, regardless of company size. Enforce Accountability – A good programme focuses not only on product features, but internal processes as well. Hold managers accountable for ensuring that their team members are following best practice. Develop Resource – Create a Sharepoint site or similar so you can share best practice documents and how-to guides. View past webinars or live sessions by recording them. These can serve as helpful resources for new hires and employees. . Consistency: Training isn’t just about telling employees how to do something once. People typically learn by repetition. Keep a training calendar with the dates of each course advertised so that team members can also refresh their knowledge when they choose.